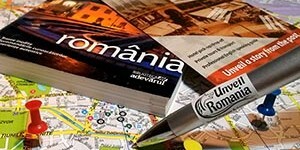 A 7-day itinerary in Romania and… no Dracula? Let the “shoot the tour guide” contest begin! Don’t worry – I have a helmet and shield in my closet so I’ll survive the onslaught. I also have a passion for literature so, despite the title, I actually believe Bram Stoker did a great job with his “Dracula” novel. Nevertheless, aside from being Mr. Stoker’s fan and a tour guide, I’m also a local. 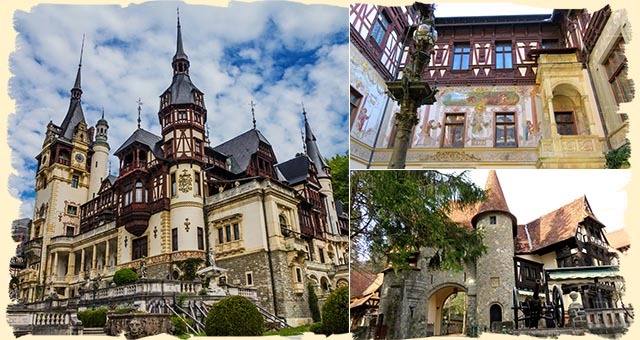 Therefore, trust me: if you plan on spending a few days in Romania, why limit yourselves to Bucharest and Bran Castle (“Home of Dracula”), when a vast medieval fairy-tale land awaits out there? A land that’s literally teeming with history, architectural marvels and pristine landscapes. Still, it’s not your fault for not knowing more. Romania does little to advertise its values and other countries simply associate the region of Transylvania with Dracula. Cool, but incomplete. There’s a good part though: the true gems are less crowded (so far). So, what’s out there in Transylvania? 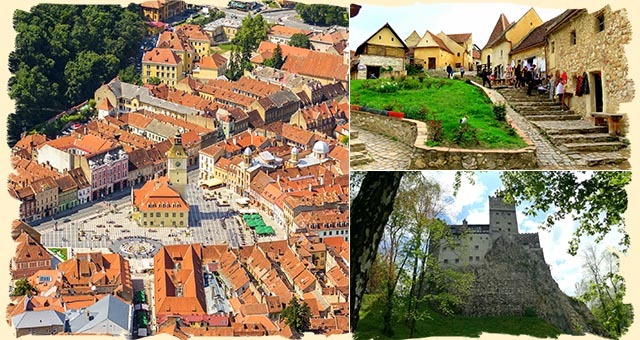 Cities with over 2000 years of history (Cluj, Alba Iulia), ancient Roman & Dacian monuments, over 150 intact Saxon fortified villages with medieval clock towers, bastions…Yes, yes 150 of them!! That’s the densest network of preserved medieval fortifications in Europe! 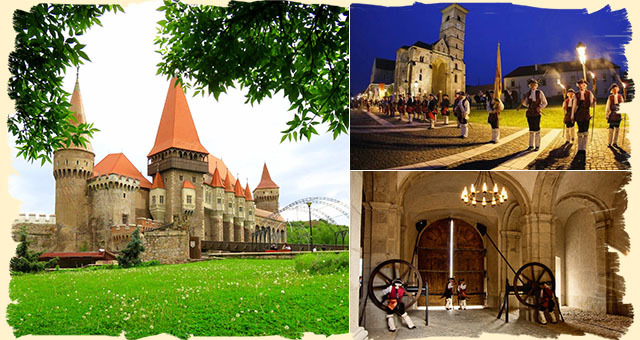 Next, you have the big castles (Corvin – one of the largest on the continent), citadels (Sighisoara – the last one that’s still inhabited) or medieval cities (Sibiu – European capital of culture in 2007). 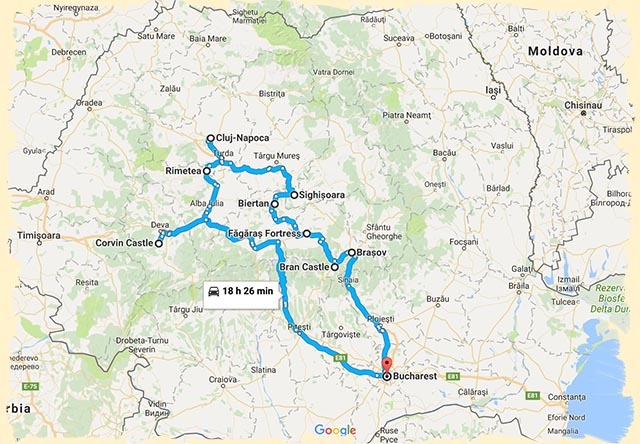 Last but not least – the Carpathian Mountains: glacier lakes, breathtaking alpine roads, huge underground salt mines turned into amusement parks etc. 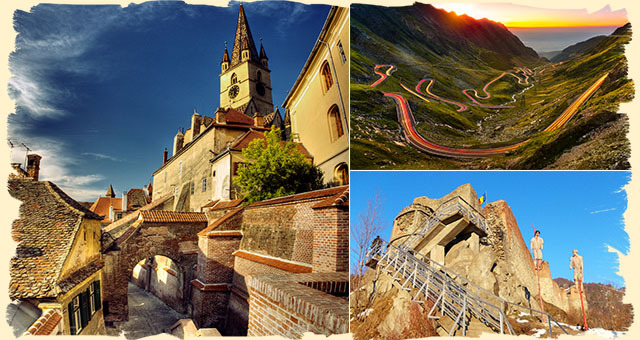 Conclusion: Whether you’re looking for a private guided tour or a self-driven trip, this 7 day itinerary in Romania will definitely help you reach both the hidden gems and the main stream attractions. The best part? It can be customized so that it truly reflects your needs & travel style. Read on and pack your bags! It’s time to unveil Romania! It’s time travelling time! PS: if you still don’t trust me, I’ll let the photos speak for themselves. If all else fails, I still have my helmet! 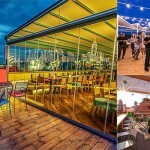 Bucharest: cool, vibrant, culturally reborn…Yet, Romania truly starts where its largest city ends! Poenari: the real fortress of Vlad the Impaler – 15th century ruler of Wallachia (south Romania). Balea Glacier Lake: accessible via Transfagarasan – one of the most scenic roads in the world. 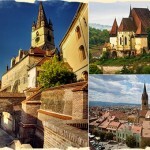 Sibiu: 13th century medieval city, ranked as Europe’s 8th most idyllic place to live by Forbes. Corvin – Castle of the Ravens; top 10 castles in Europe; inspiration source for Hogwarts (Harry Potter). Alba Iulia – built by the Romans 2000 years ago; seat of XIII Legion Gemini; capital of medieval Transylvania. The old city is actually a star shaped citadel containing roman monuments, medieval cathedrals and 18th century imperial architecture. The city is also the birthplace of modern Romania. Rimetea – a village where time stood still. With some of the houses going back to the 17th century, Rimetea received the “Europa Nostra” prize in 1999 for conserving its cultural and architectural heritage. 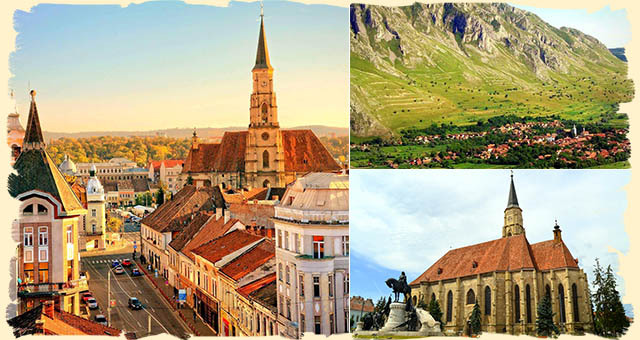 Cluj Napoca – founded by the romans in antiquity; today boasts a splendid Old Town, many universities and it’s nicknamed the youth capital of Romania. Cluj constantly attracts many young designers and architects and thus its numerous pubs & bars have unique designs and themes. Salina Turda – a mine out of the Star Wars! 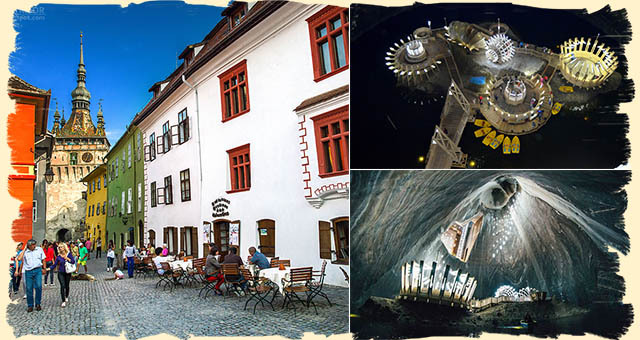 Home to the largest salt mine museum in the world, this 120 m deep mine also hosts a gargantuan sized underground amusement park! With everything feeling Sci-Fi, the park has a Ferris wheel, raw boats (underground salt lake), an amphitheater, spa rooms, bowling etc. 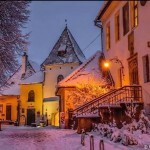 Sighisoara (UNESCO) – the last European citadel that’s still inhabited. Birthplace of Vlad the Impaler, the citadel goes back to the 13th century. It still has 9 towers, 3 bastions, large gatehouses, the famous Clock Tower, gothic manors and a myriad of cobblestoned streets. This is a medieval fairy tale at its best! 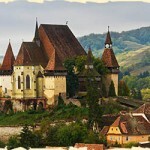 Biertan (UNESCO) – one of the most beautiful examples of Saxon fortified churches in Transylvania. Fagaras – nicknamed “The impregnable fortress”, it represents of the largest castles in Transylvania. Magura – a village located at the edge of Piatra Craiului National Park. With the mountain ridge towering in the back and the Transylvanian Plateau lying beneath, this highlands village offers scenic views and total relaxation. The numerous guesthouses make it an excellent choice for spending a couple of nights. Bran – Castle of Dracula. Built by the Teutonic nights in the 13th century, this stone giant guarded the passageway into Transylvania and had great strategic importance during the middle ages. Brasov – called Corona (Latin) or Kronstadt (German), meaning “crown city”. Resting at the feet of mount Tampa, this 800 y.o. 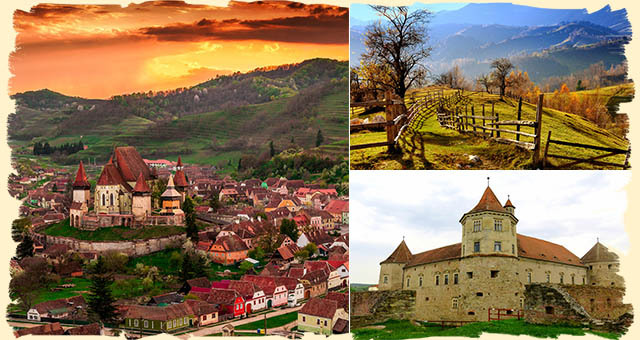 city is another medieval gem of Transylvania and of the most visited places in Romania! Rasnov – a one of a kind fortress! The views from atop are gorgeous and the architecture is quite unique: a combination between a large castle and a tiny medieval town. This place is an absolute must! Peles Palace – the former private retreat of Romania’s royal family and currently one of the greatest art collections in Eastern Europe. A masterpiece combing German Neo-Renaissance and Italian Baroque, this was the first European palace to be fully powered by its own electricity source. You can admire large terraces, inner courtyards with Carrara marble sculptures, Swiss stained glass, 170 themed rooms (Moorish, Persian, French Imperial etc. ), over 2000 paintings and 4000 pieces of armor and weapons. 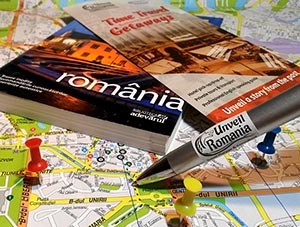 Do you need help in organizing a customized, self-driven trip to Romania or would you rather rely on the assistance of a local guide to lead you? Let us know of your travel plans by filling in our Request Form and one of our travel consultants will help you make the best decision! Winter is coming…but unlike Game of Thrones, it brings holidays & joy. In Romania, winter's a goddess with 5 faces. Which one will you choose?